Scott and I had a day date (my favorite) recently on his day off that involved eating and movie watching (more favorites). We started off with breakfast at our favorite place, The Egg and I, as per usual. I have a new delightful dish to add to my rotation, the chicken apple sausage scramble which includes egg whites, spinach, tomatoes loads of Gouda cheese and aforementioned sausage. Can I get a yum? Scott got Viva la France because he's a sucker for french toast (ew!). Once we fueled up we headed over to the early bird showing of Selma, which, oh my goodness, was powerful. In an I'm embarrassed to be white and from the south, but it is what it is and it's our history kind of way. I know there's controversy about the way the movie portrayed LBJ and MLK's relationship (as in not historically accurate) but it's still a great movie. It's a shame the actor portraying MLK wasn't nominated for an Oscar, he's deserving. If you get a chance to see it, GO! FYI: I also watched a PBS documentary on YouTube about MLK called Citizen King and there are also full length versions of the Eyes on the Prize documentaries about the overall Civil Rights movement, even one specifically about the Selma to Montgomery march. Good stuff! 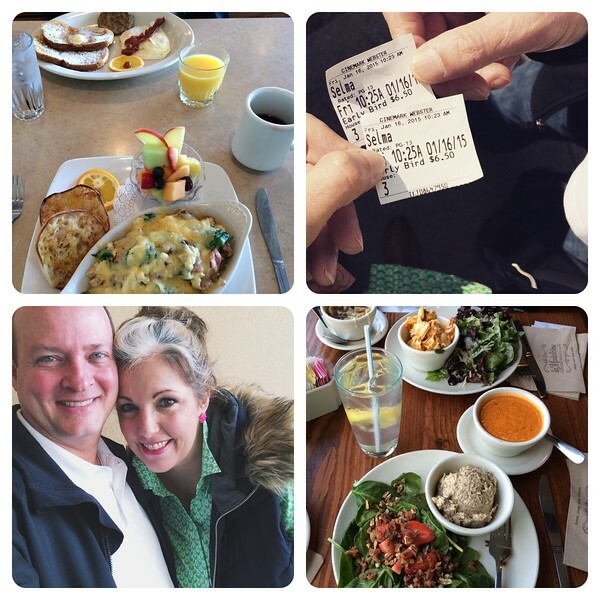 Post-movie we dropped off Annelise's charm bracelet at James Avery to get her Christmas present from her Aunt Karen added (a rabbit and a cat charm) and since La Madeline is so conveniently located, as in right next door, we soon found ourselves enjoying salad and soup for lunch. Can I get another yum? 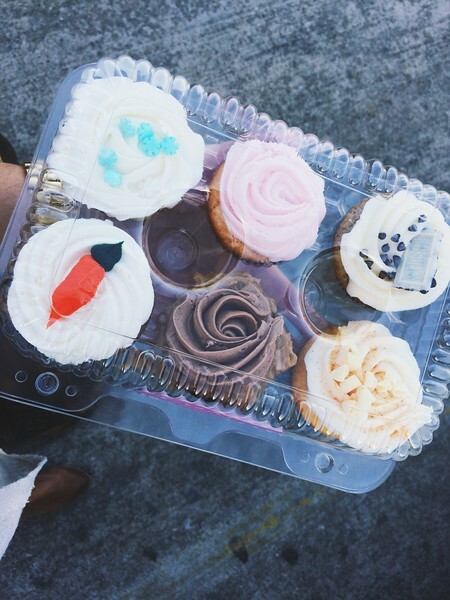 After picking up Annelise after school we made an emergency stop for cupcakes, as you do. Annelise went over to a friend's house Sunday afternoon for a sleepover (woohoo for MLK day!) so Scott and I hightailed it back to the movies to see American Sniper. I knew that movie would be hard to watch going in, and I was right, but it was really powerful though difficult to stomach at times (like Selma). Of course I was a heap at the end. The theater was absolutely silent as we left, I think everyone (a full house) was overcome with emotion and respect. Annelise had a fabulous time with G. and S., epic Nerf battles--I think they were reenacting the Hunger Games, trampoline jumping, Minecraft construction, silliness, staying up until the wee hours and general girl stuff (but no drama, thank goodness). When I picked her up Monday afternoon she had that wild-eyed crazed look which is the sign of sleepover success. In unrelated news, I have never been one to listen to podcasts. No reason really, other than I didn't know of any good ones. The bad news is it's about a real-life murder of a teenage girl but the good news is it's chock full of twists and turns and wait...whats and whodunits. And you can totally binge listen now (which is what I did) instead of waiting each week for the new podcast. Sometimes there are perks for arriving late to the party. I even got Scott to listen so we could discuss and compare theories. He listened on his commute and I listened in the car or when insomnia struck. Is Adnan guilty and wrongly convicted? Why does Jay seem so shady? What about those phone calls? I don't know!! It's so addictive! 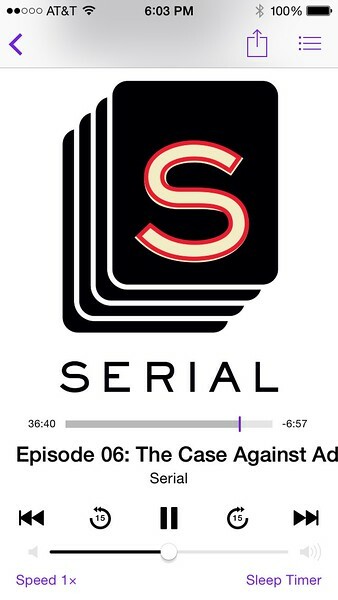 Now I have to find new podcasts to get hooked on. It's like a whole new world. They're mainly for school (she sits near the back in two classes and was having trouble seeing the whiteboards) but she likes to wear them as much as possible. 02.) 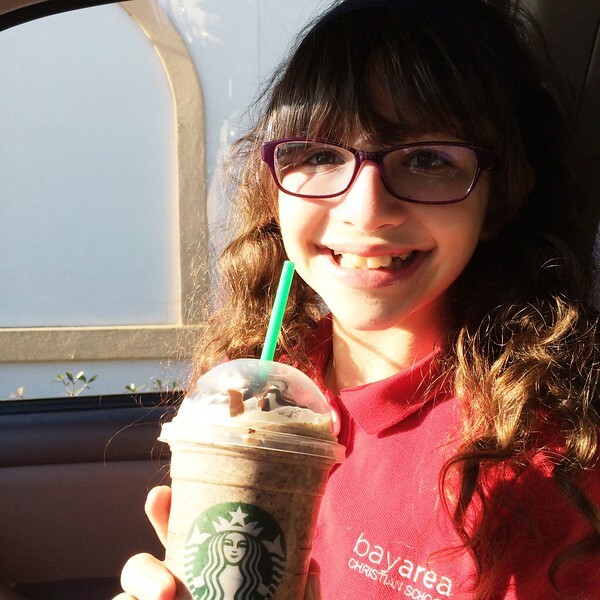 Annelise dusts and accepts payment in frappucinos. 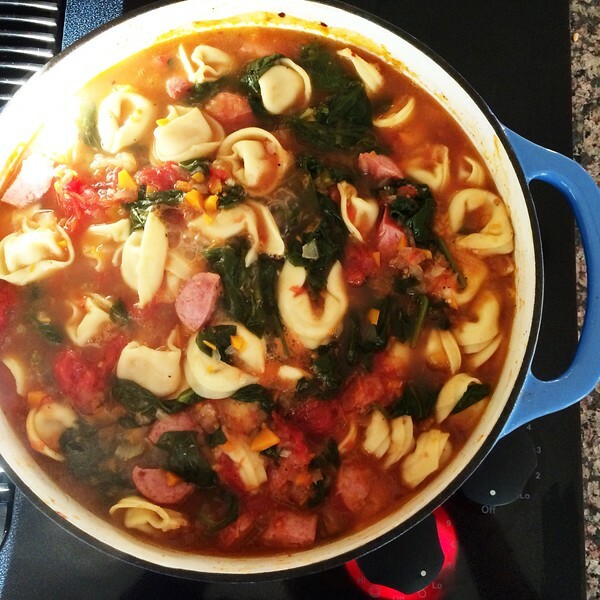 In cooking news, last week I made Edie's Cheese Tortellini soup, except I added turkey sausage because my people tend to want meat with their supper, whatever, man. Not only is it yummy, it's pretty easy and quick to throw together, so it meets my criteria. I also made Pioneer Woman's Sour Cream Noodle Bake, which is slightly similar to lasagna, but not, yet still has that comfort food quality going on. Tonight we're having Mexican Meatloaf (Annelise actually cheered when she heard the news), which is an easy but always delicious go-to meal. Perfect for Mondays (or any day). We eat it on a bed of spinach with salsa, tomatoes, avocado, crushed chips--whatever you have.